​One of the brightest assistants in the ​NFL could be on his way out of South Beach. 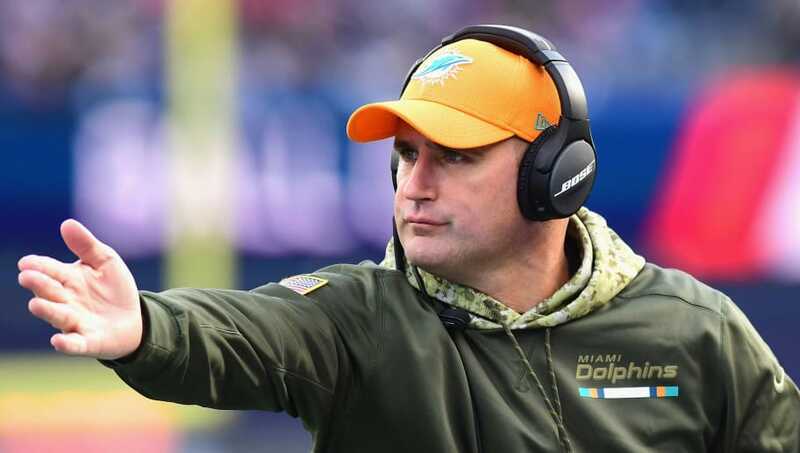 After interviewing special team coordinator and assistant head coach Darren Rizzi for their head coaching job, but ultimately deciding on Patriots linebackers coach Brian Flores, the ​Miami Dolphins will allow Rizzi to interview with other teams. The Vikings and Packers, who recently let ​Ron Zook go, will be interested in Rizzi's services. After denying requests during HC search, the #Dolphins now are permitting respected STC Darren Rizzi — a candidate for head job before Miami settled on Brian Flores — to speak to other teams, per source. They’d like to retain him. #Vikings, #Packers among teams that have called. Rizzi had bounced around with several northeastern​​ college programs like Rutgers and Rhode Island before taking the Dolphins job in 2010. Under his watch, wide receiver Jakeem Grant has morphed into one of the most deadly return men in the NFL. ​​For anyone who thinks that a special teams coach can't make that much of a difference, look no further than Zook this season of the Los Angeles Chargers before their 2018 campaign. Rizzi is one of the best at his position and could be getting head coaching looks again in the 2019 cycle.